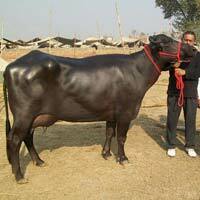 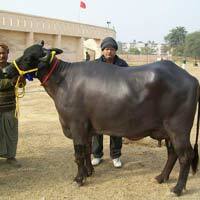 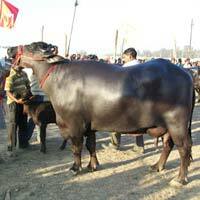 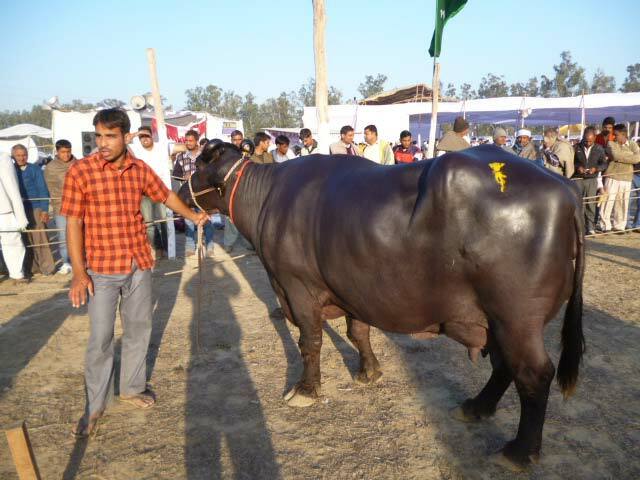 Our company is engaged in offering pure and healthy Murrah Buffaloes at market leading prices. 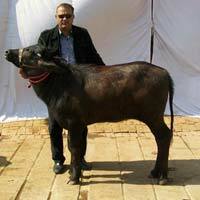 The Murrah Buffalo is the ranked among the best buffalo breeds in the world. 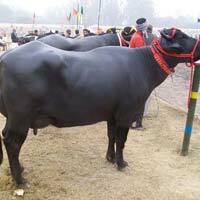 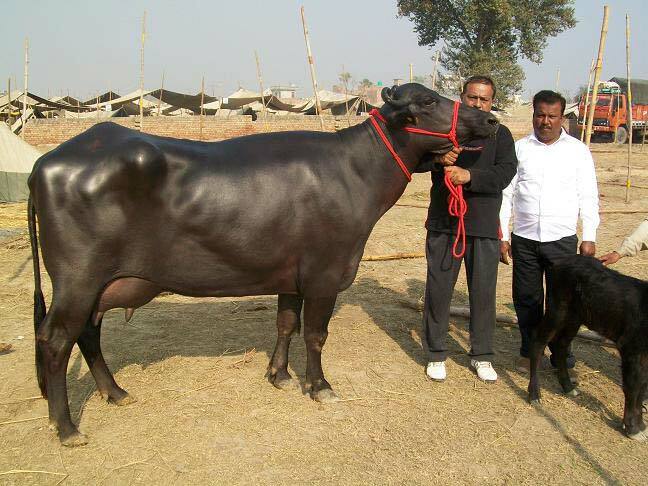 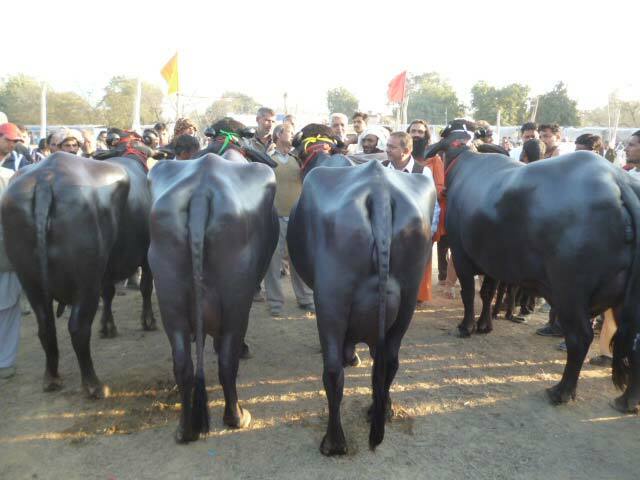 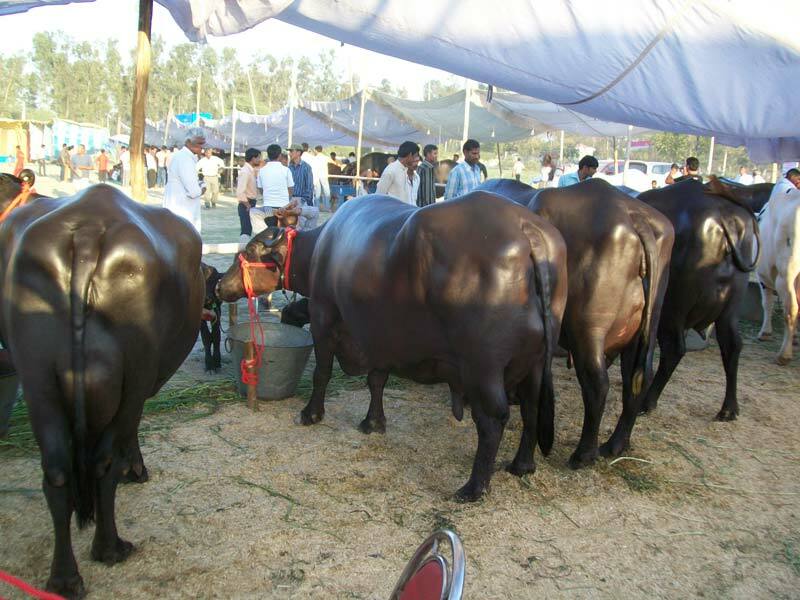 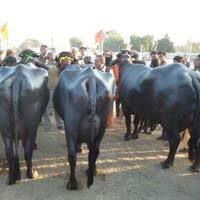 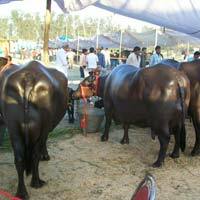 The buffaloes richest source of best Murrah germplasm is in Haryana State. 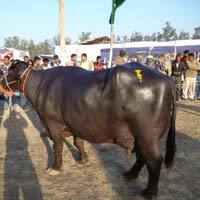 Buyers can purcahse the buffaloes from us as per requirement. 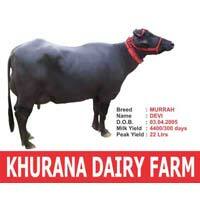 Mainly Rohtak, Bhiwani, Hisar and Jhajjar District are considered the best breeding tract of Murrah. 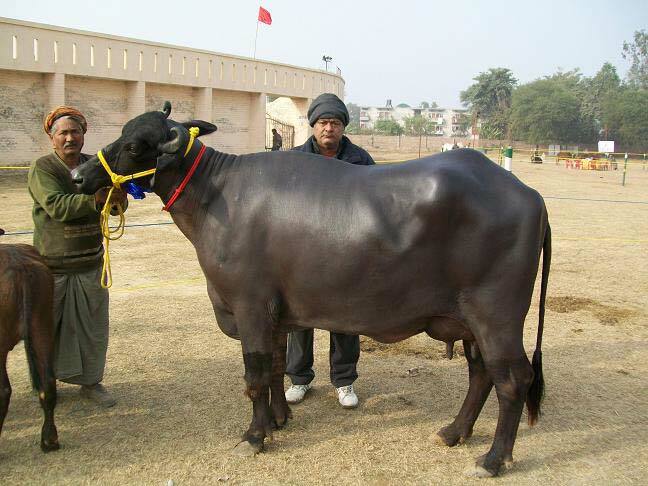 Though triple purpose it is chiefly maintained for milk production, it is an excellent performer and it is best converter of course feeds into Fat Rich Milk even under harsh climatic conditions. 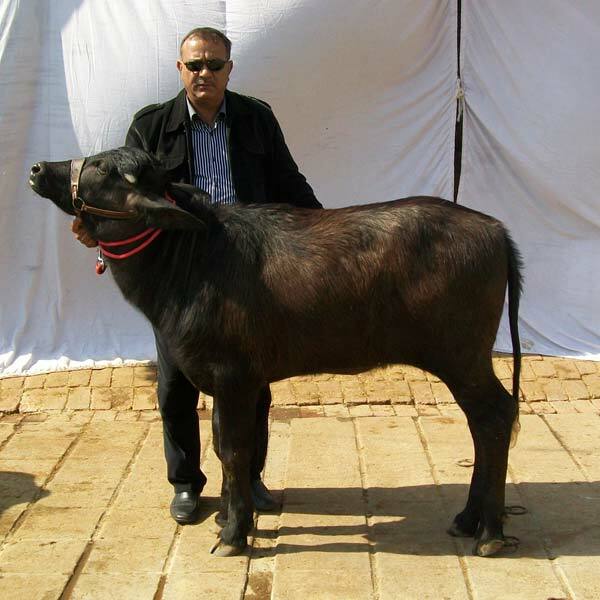 It has a jet black body colour, it is sound built, heavy and wedge shaped, having a comparitively small head and long face and neck, horns are short and tightly curved. 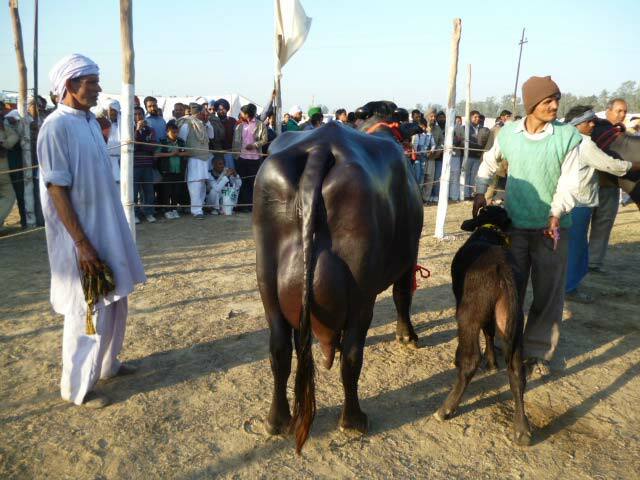 Udder is fully developed, drooping with teats equally distributed over the udder with hind teats slightly longer than fore teats. 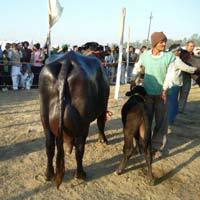 First calving is at about tree years of age, with long lactation period of about 280-300 days. 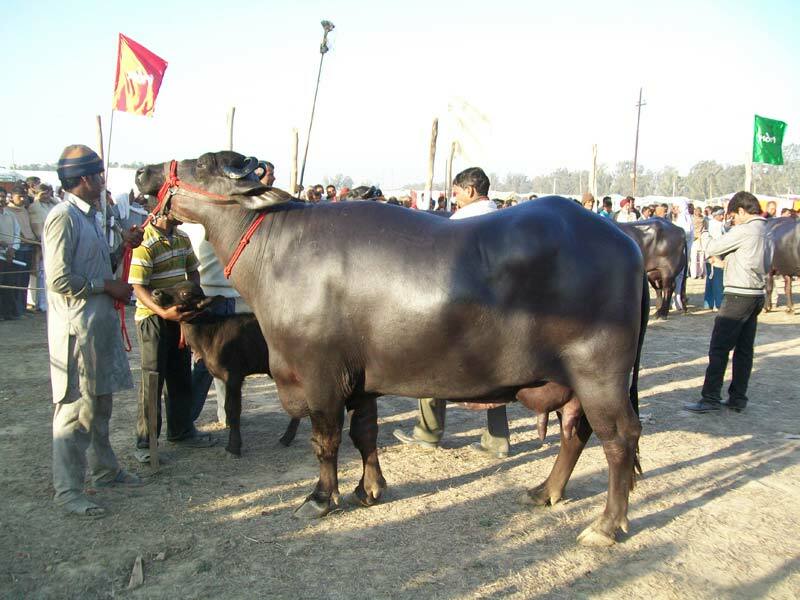 Good Murrah buffaloes yield 14-18 litres of milk/day and exceptionally good buffaloes yield over 22-24 litres of milk/day and the dry period of Murrah buffaloes is generally 60-90 days. 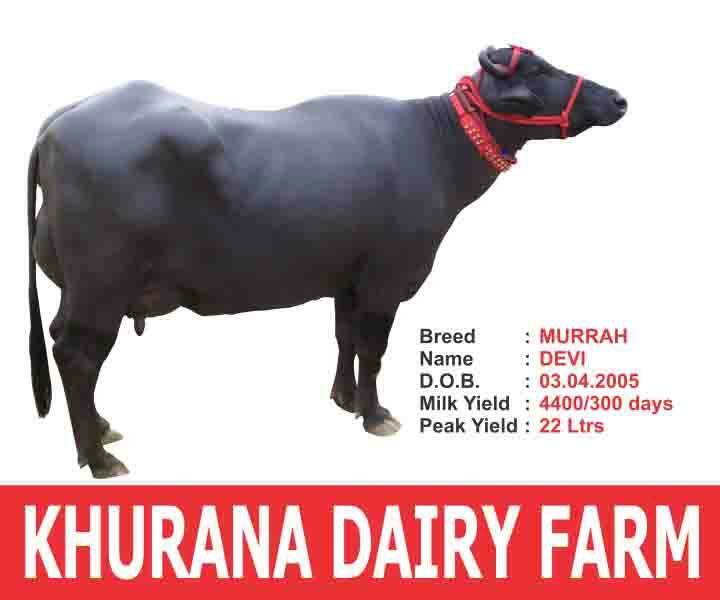 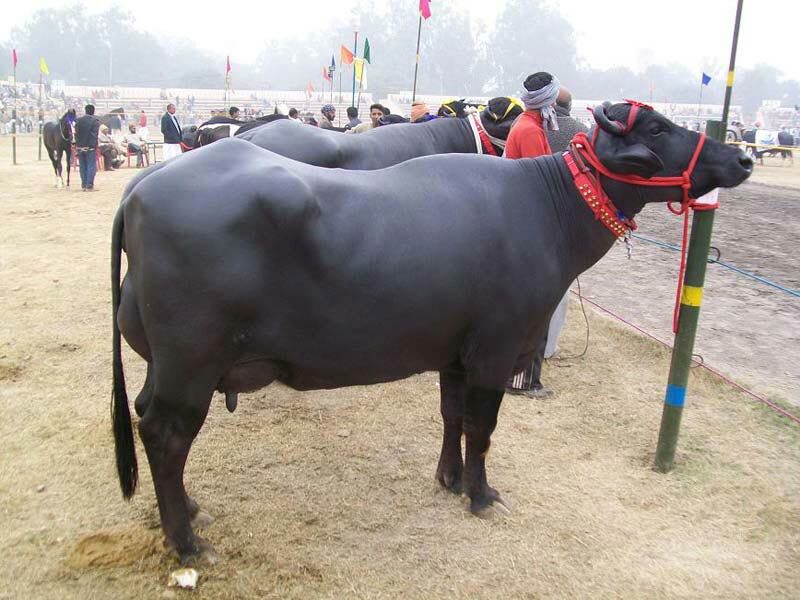 Khurana Dairy Farm has been undertaking genetic improvement of Murrah Buffaloes and its Breeding bulls and has been supplying them all over the country.